Here at disdressed we rely heavily on our tech support department for all computer- and blog-related issues. Unfortunately, that department is spending the week in Cincinnati with his real job. And as a result, the mitten pattern has been delayed a bit. Sorry. I'm trying to attach Illustrator files to my post, which requires a tad more computer savvy than I possess. 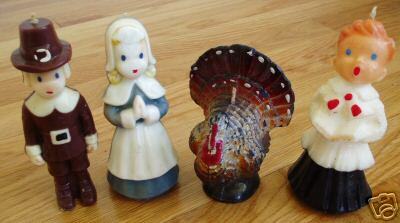 In the meantime, I had a sudden flashback yesterday while thinking about holiday decorating. 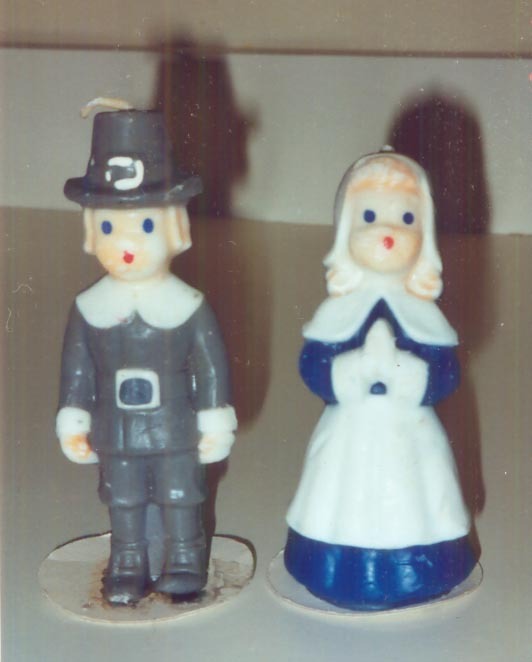 I remembered some pilgrim and angel candles we had when I was growing up and suspected that if I typed "pilgrim candles" into ebay I would find them. Sure enough, and here are the photos to prove it. Isn't it amazing that something so arcane can be found with such ease? And it's even more amazing that people are obviously collecting them. Some of the candles still have the thirty-five-cent price tag on the paper base. On a much more serious note, I have been throroughly distracted over the past several days while hoping and praying for the safe return of James Kim. Such sad news. It's almost unbearable. Oh, I remember those sweet candles. Yes, tragic about James Kim. What an inspiration. Isn't it strange how some stories strike such a chord - I have also found myself thinking of the Kims again and again over the past few days. What a horrible story. Your candles, on the other hand, are charming. 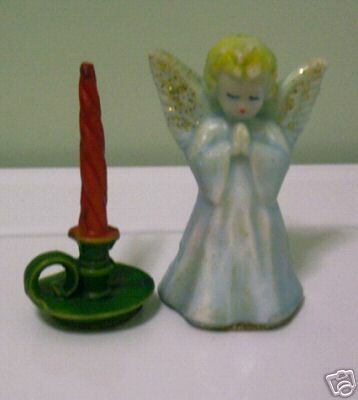 We had that Angel candle when I was a kid. Who said globalisation was a new thing? !